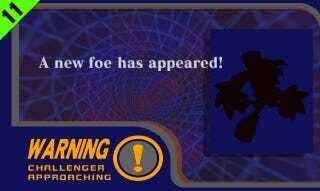 With E3 only days away there is much speculation as to what characters Nintendo will tease in their almost certain reveal of the newest Super Smash Bros title. This is Challenger Approaching! Bio: Though much better known for his appearances on the PlayStation, Klonoa is a bunny/cat/dog adventurer with a heart of gold and a playful attitude. The original title in the series, Klonoa: Door to Phantomile, was one of (if not the) first 2.5D platformers. This meant that though the characters and environments were rendered in three dimensions they still moved and interacted like a two-dimensional game. Here's a fun fact: the second Klonoa titles was actually on a handheld - The Wonderswan. As you can see Klonoa has only shown up on Nintendo systems a few times, though he will be a featured player in the upcoming Project X Zone for the 3DS (which was released in Japan some time ago). Klonoa's background in the games themselves is a bit mysterious. Known as a "Dream Traveler", he must journey to different dreams (INCEPTION HORN) that are in danger and save the day. It's not exactly the most original and riveting plot line, but neither is Mario's usual set-up. Attack Plan: The first thing you'll probably notice about Klonoa are his enormous ears. These freakish extremities could well play a part in his diverse move-set. Klonoa's ears have been used in past games to flap, glide and preform tornado-like attacks. All of these moves and abilities would translate nicely to the Smash Bros universe. Klonoa also wields a magical Wind Ring (seen above) that can shoot out "Wind Bullets". These bullets can knock baddies over and fill enemies with air, ballooning them to twice their size. Who wouldn't want to see Link or Pikachu get inflated? And don't forget his patented "Air Board" either, dude! Klonoa seems like he would be a talented close range fighter with a few projectiles to balance him out. Almost like Mario, but with better recovery. If you look at Klonoa's hat you may notice another well known gaming icon - Pac-Man! Even though NAMCO Bandai (the owner of the Klonoa IP) is a big part of building the newest Smash Bros, I feel that they might overlook Klonoa as their first pick to enter the ring. They would probably go with the ghost munching sphere that reisdes on his cap. That's not to say it's impossible they could include both. As always feel free to make your voice heard in the comments below or by tweeting at me. the Challenger Approaching archives can be found here.